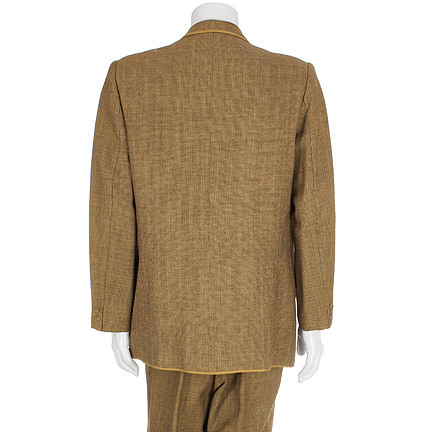 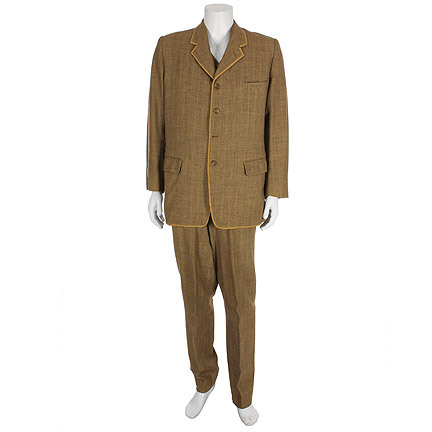 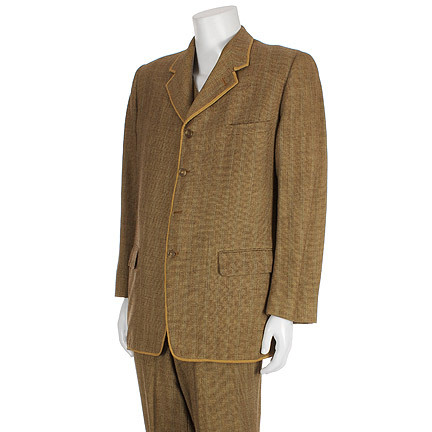 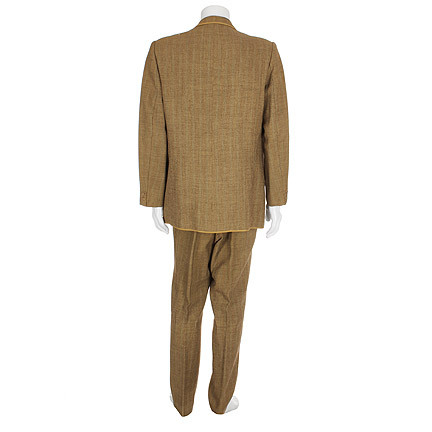 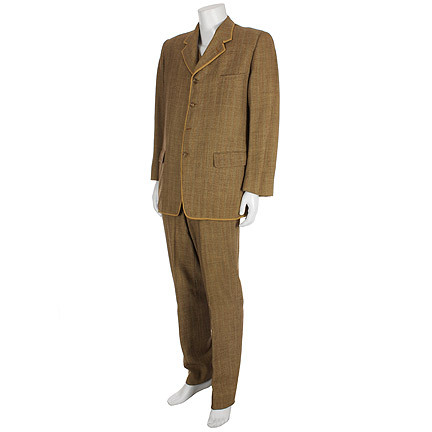 The vintage brown tweed three-piece suit with beige piping includes a jacket with notch lapels, welt breast pocket, two flap pockets, and brown lining with internal “Western Costume, 167, 42” label. 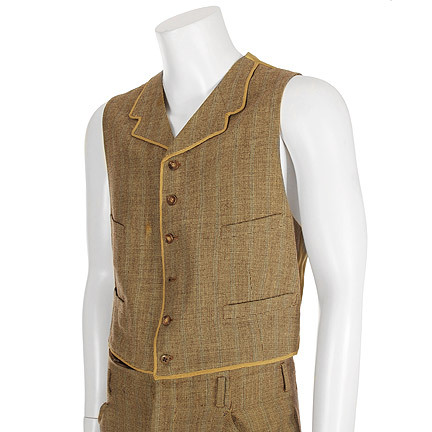 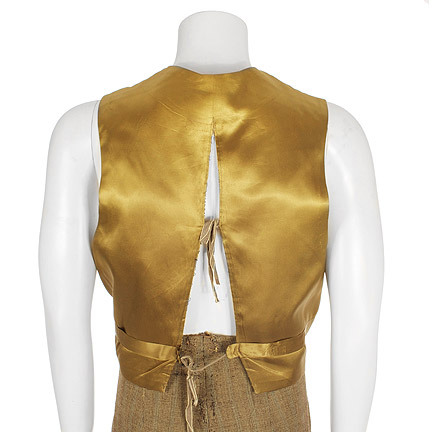 The vest has notch lapels, six button closure, four single welted pockets and internal “BURGESS” written on fabric strip and “SUIT 3 PCE W.C. CO., #13 H” stamped. 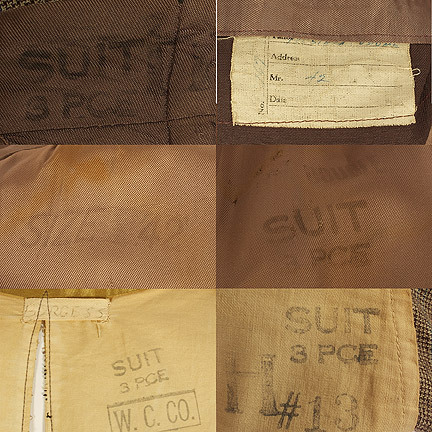 The pants have suspender buttons and internal “Suit, 3 pc” stamped. 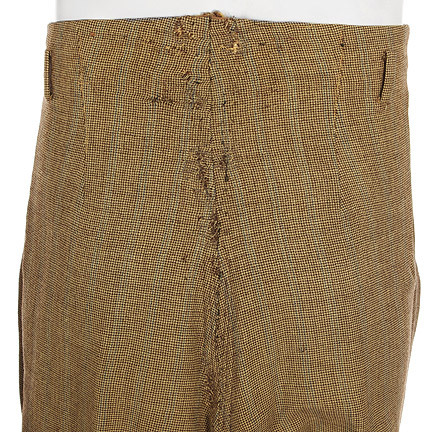 The pants have been heavily altered for use in a subsequent production. 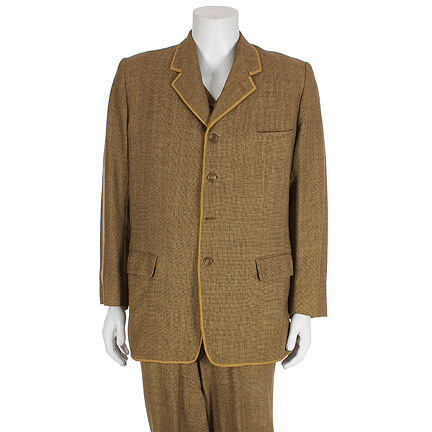 This garment is in good vintage condition, and is accompanied by a letter of authenticity from the costume house.